By 2025, the role of agricultural scientist will have evolved from data interpreter, to “polymath”, offering services to support all citizens as innovators and ensuring that the science associated to innovation platforms is in pursuit of social justice. This is just one future scenario discussed during the Abu Dhabi Food Control Authority sponsored Hosted Scientists Program (HSP), part of the Global Forum on Innovation in Agriculture (GFIA) held in March in Abu Dhabi. Agricultural innovation platforms are used increasingly in the agri-food sector in a way to bring together different stakeholders to share information, to identify solutions to common development problems, and agree on joint activities to achieve common goals. Around 120 scientists from some 34 countries came together for the program, ‘Innovation Platforms: What do they mean for science?’, designed by GFAR and sponsored by the Abu Dhabi Food Control Authority. In the first two sessions, program participants discussed the characteristics of successful platforms and how to keep them innovative and sustainable. The final session was an opportunity for some long-term thinking/reflection: to look ahead to how innovation platforms might work in 2025. There was no doubt that innovation will still be needed in future, but innovation mechanisms might take very different forms. Said one group, “A platform which does not innovate, disappears”. Innovation platforms may, for instance, be ‘optimized’ through maths algorithms designed to make them more efficient in addressing consumer needs and regional specificities, while connecting globally. In this “enhanced” version, people will still meet face-to-face, but the platform will integrate a more diverse group of stakeholders. Science will be the source of innovation through collective validation, but scientists, while still partners, will be focussed on mentoring, educating and informing as more citizens engage in science. “Business” platforms will emerge as populations grow, with urbanization and climate change, and in response to evolving consumer demand. The emphasis will be on the capacity to create innovative agri-business. Science will be multi-disciplinary and impact-oriented. Scientists will perform applied research and become a specialised source of innovation. Program participants identified three further possible versions, shaped by the development of ICT, data expansion, open source information and societal aspirations for social justice, as well as the possibility that citizens may become scientists in the future. 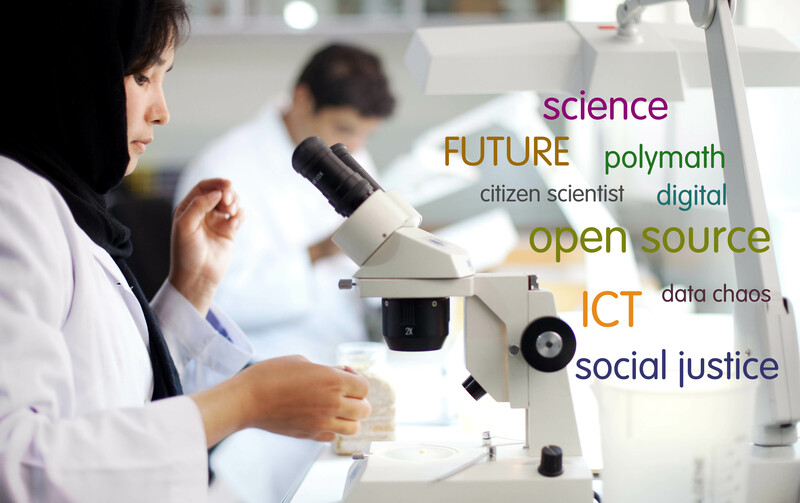 In the “digital”, “open source ecology” and “virtual” platforms, science will be much more developmental, so that the role of scientist will be as polymath, offering services to society to support all citizens as innovators. In doing so, scientists will become directly involved in ensuring that science is pursuing goals of social justice. They will engage in more impact studies, generating multiple scenarios and results, and in informing policy and governance. The results of all three program sessions will be included in a working paper GFAR is preparing on innovation platforms, as part of the consultations around the Global Conference on Agriculture and Development (GCARD). You can also access further information on GFIA 2015. Defined by the Oxford dictionary as “a person of wide knowledge or learning”.